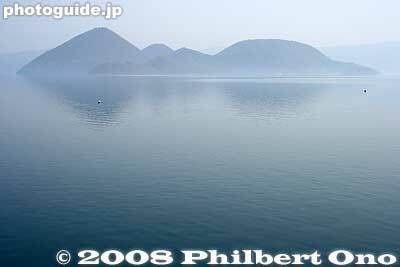 The Nakajima islands in the center of Lake Toya. There are four islands. Most them have a conical shape.